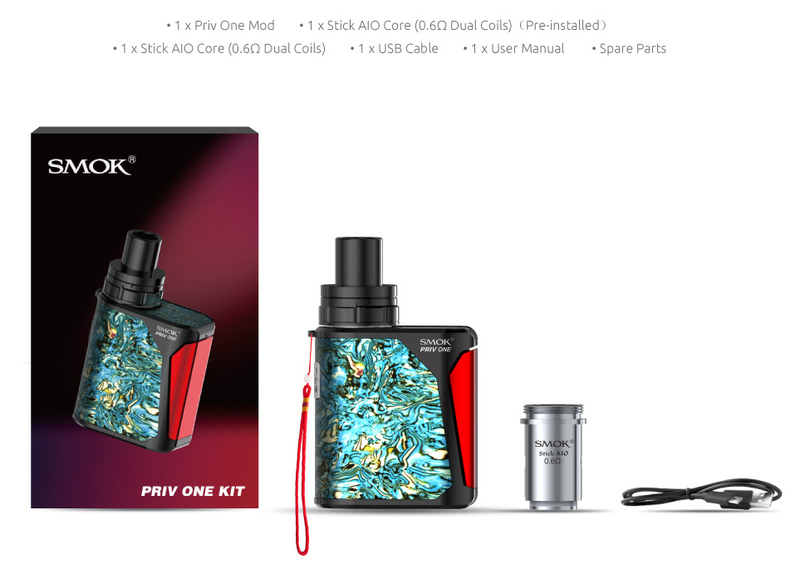 SMOK PRIV One Kit is All in One Kit which includes mod with 920mAh built-in battery paired with 2ml tank capacity to offer top airflow adjustment and convenient top-fill system through the utilization of the Stick AIO coil family. 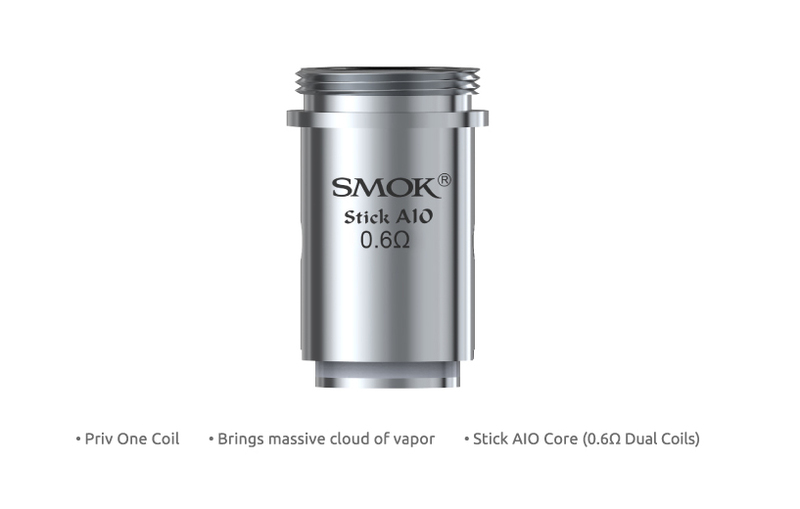 The Stick AIO Dual Coils provides an excellent balance between flavor, vapor, and efficient use of the battery. 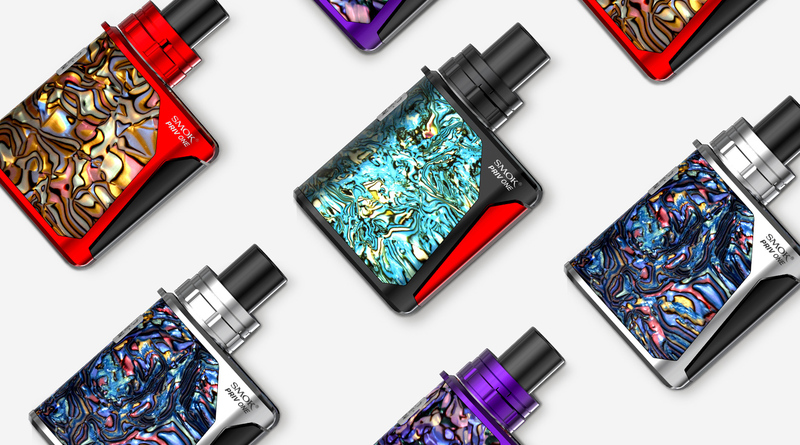 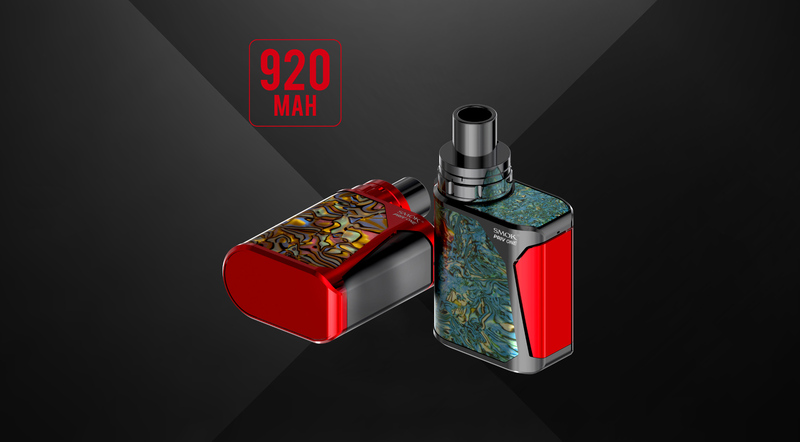 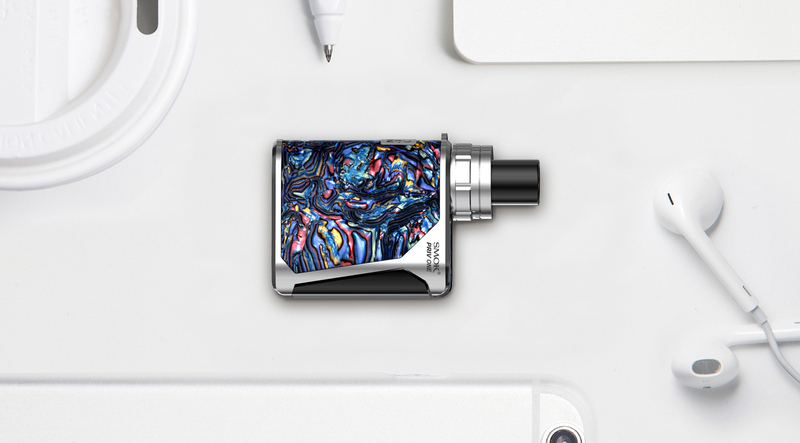 With its compact size and leak-proof portability, it offers a travel-friendly design with amazing visual appealing shell patterns on the panels. 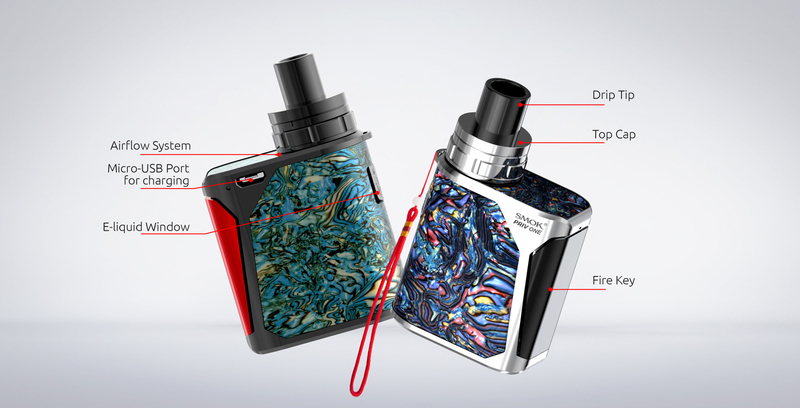 The Priv One works via a single-lateral button operation, powering a direct voltage-based output system, comparing battery life to determine the power range. 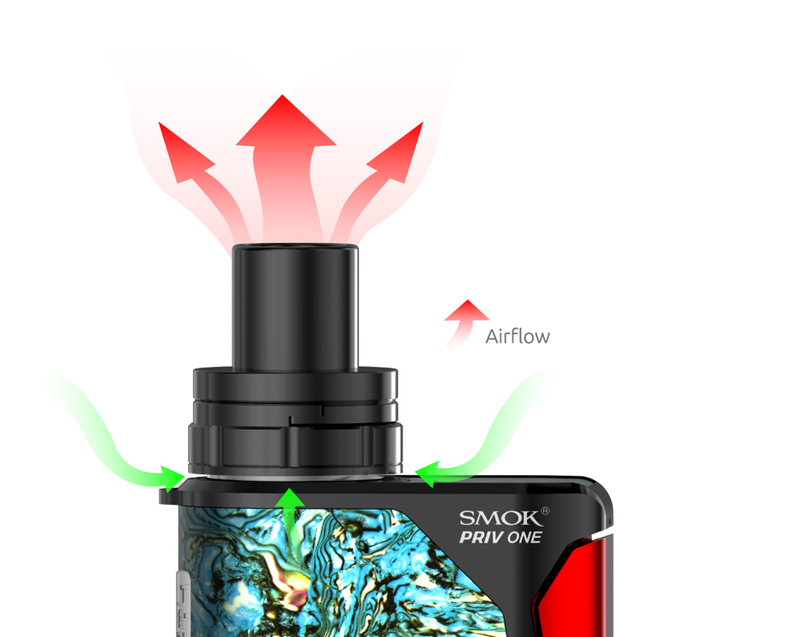 It offers multitudes of safety protections like Impedance Protection, 8 seconds cut-off, low battery warning, and short-circuit protection. 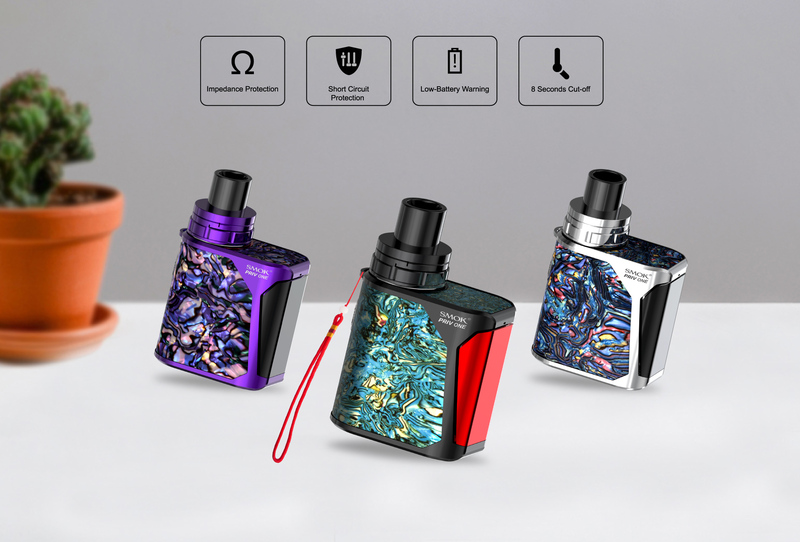 The shell patterns make it available in 4 different bright colors (Yellow, Purple, Green, Purple). 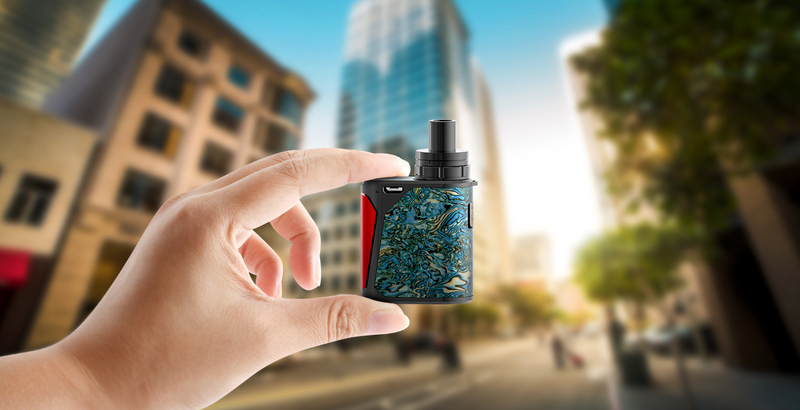 Easy installation and removal, suitable for entry-level users or experienced vapers looking for a travel-friendly portable system. 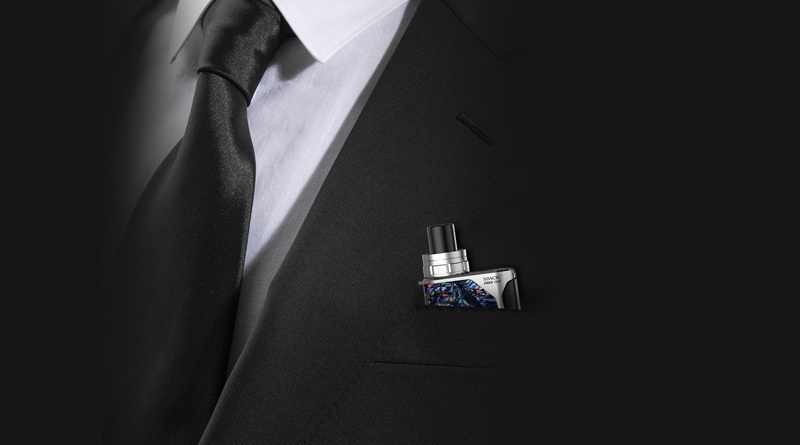 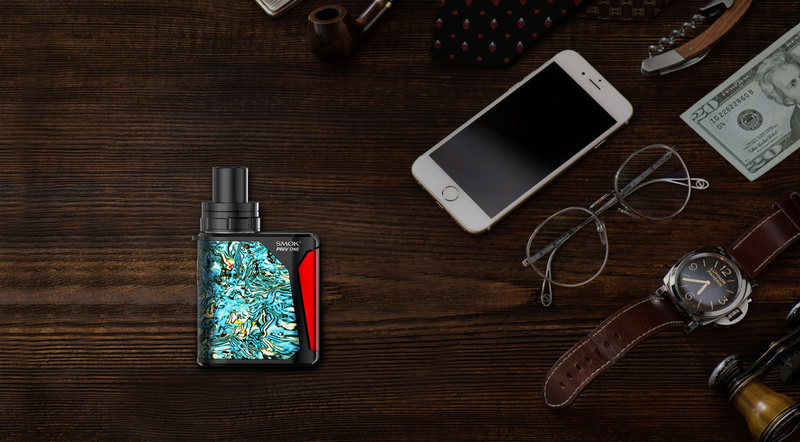 One can enjoy long vaping time on a business trip, meeting or outdoor leisure with SMOK PRIV One Kit. 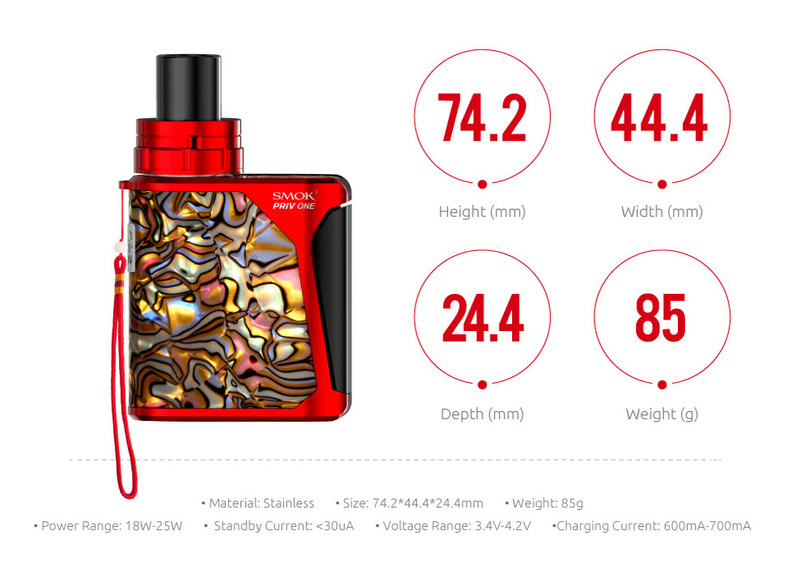 its output power can up to 60W when the tank’s resistance value is 0.15Ω. 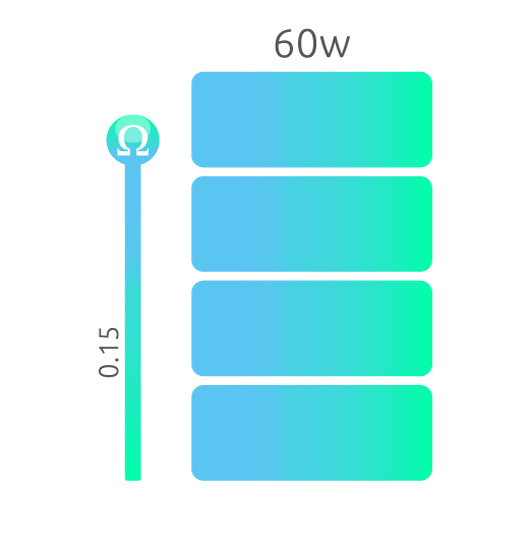 What an amazing power!